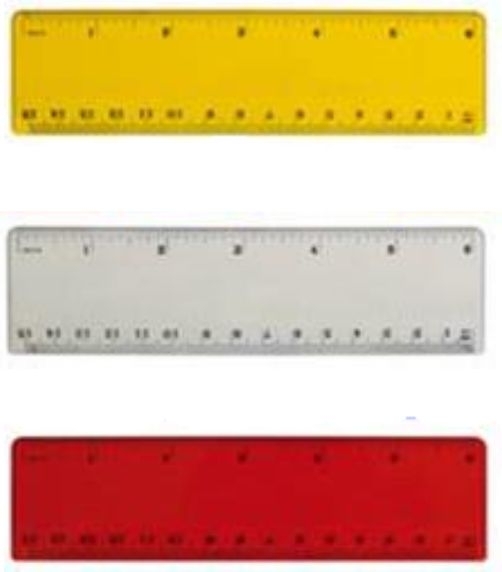 This 12" Flat Edge Ruler features an inch scale on 1 edge and an open area for imprint (factory set straight-line type) on remaining open area. Custom logos and type styles available, but will incur a setup charge. For best appearance, 8 point or larger bold type and clean line art without screens is recommended. Backside print in ink only. 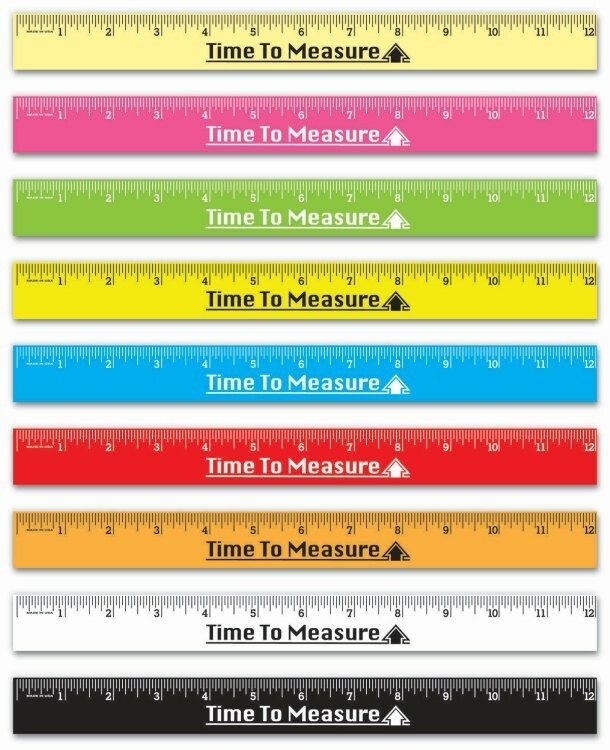 Rulers are made with heavy laminate. Pricing includes custom four color prcess printing on both sides. Stock state flags are featured on the back side of our Flag Ruler in full color. Front has huge imprint space along with the inch and centimeter scales! Imprint and scales are in the same color; otherwise add an additional color charge. 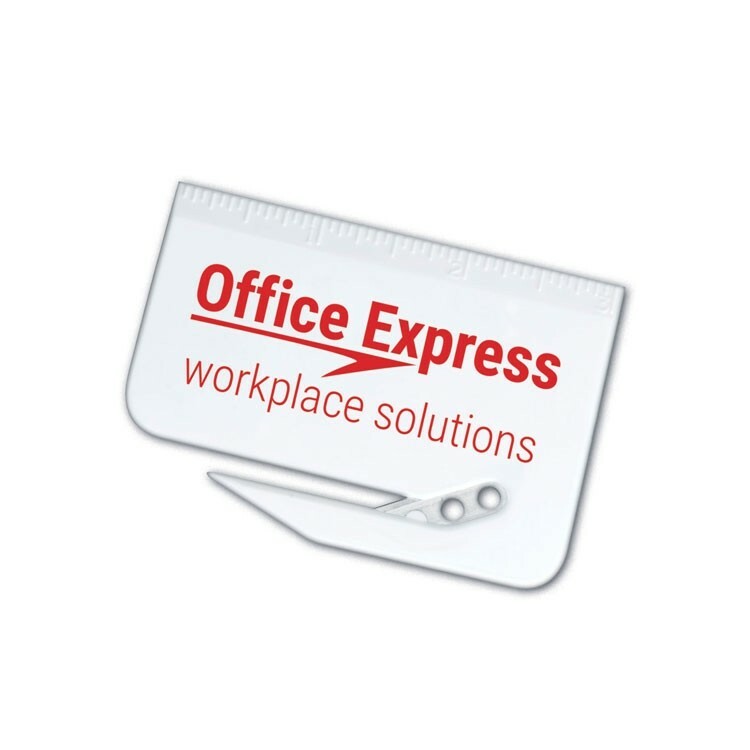 weight: .020 White Plastic | size: 12 1/4" x 2 1/2"
Portable office kit. 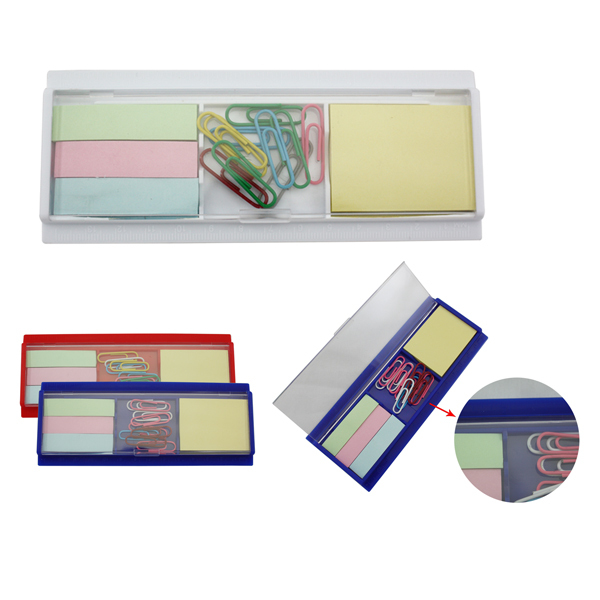 Perfect fit for office and home use It comes with paper clip, page divider and post-it. This great item can combine with POUCH B037. Great for student and office. Union Printed, Phone Stand with Ruler, This Foldable Smartphone Holder is Suitable for Horizontal and Vertical Use, And also contains a ruler that measures standard and metric measurement units, Up to 4"/10cm. Perfect for School, Home & Office use For Watching Your Favorite Videos, Reading, Video Conferencing, Browsing The Web Or Even Following A Recipe In The Kitchen! without the hassle of having to handle your phone. Decorated in our Union Shop - Union Bug Available at No Charge! Rule is made of wood. Custom logo can be imprinted with all colors. 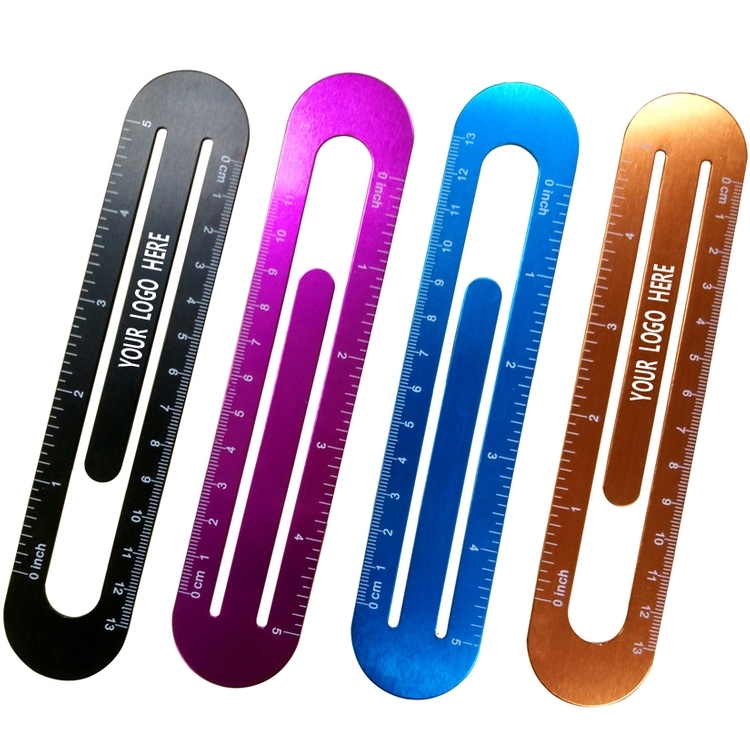 Alumicolor flexible stainless steel rulers are an essential item for any office environment. Their non-slip cork backing adds value and functionality. Imprint with either oxidized laser engraving for 1-color black logos or epoxy ink screenprinting for colors other than black. 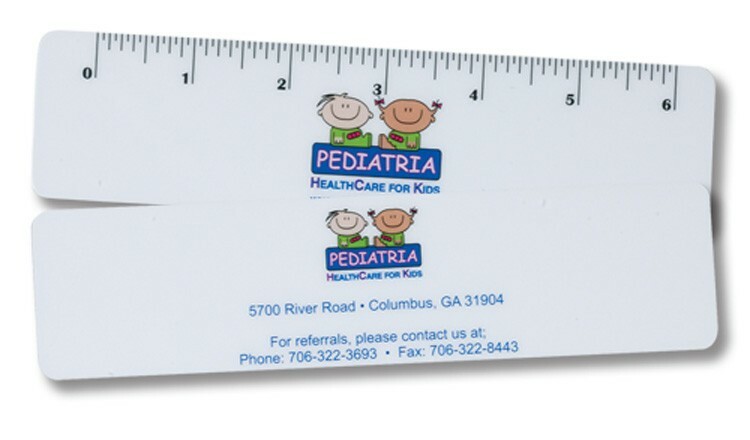 Durable plastic rulers in HD full color printing. Superior quality to laminated paper. 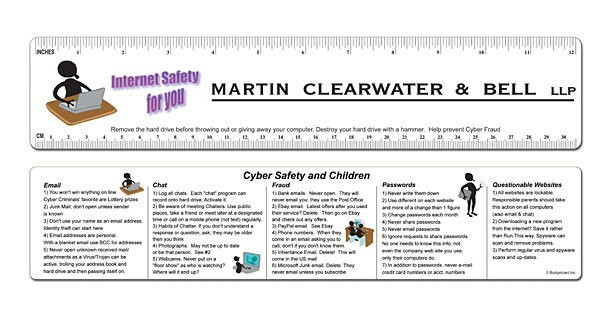 Cyber Safety Ruler features adult and children safety tips while in chat rooms, or emailing, etc. The ruler serves as a constant awareness of safe practices when using the computer Check it out! Stock design front and back. Imprint and scales are on the front. 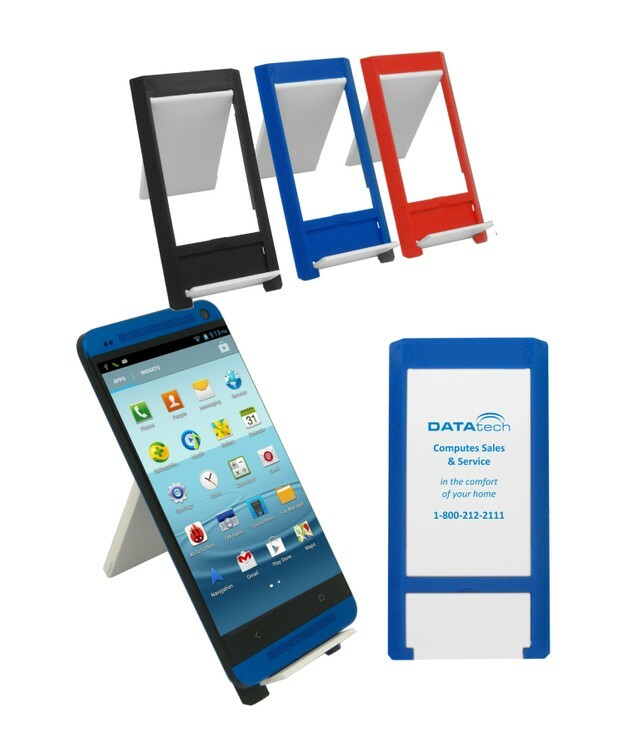 Now available on thicker and laminated plastic! This information is also available on Door Hangers (DH15-CS). 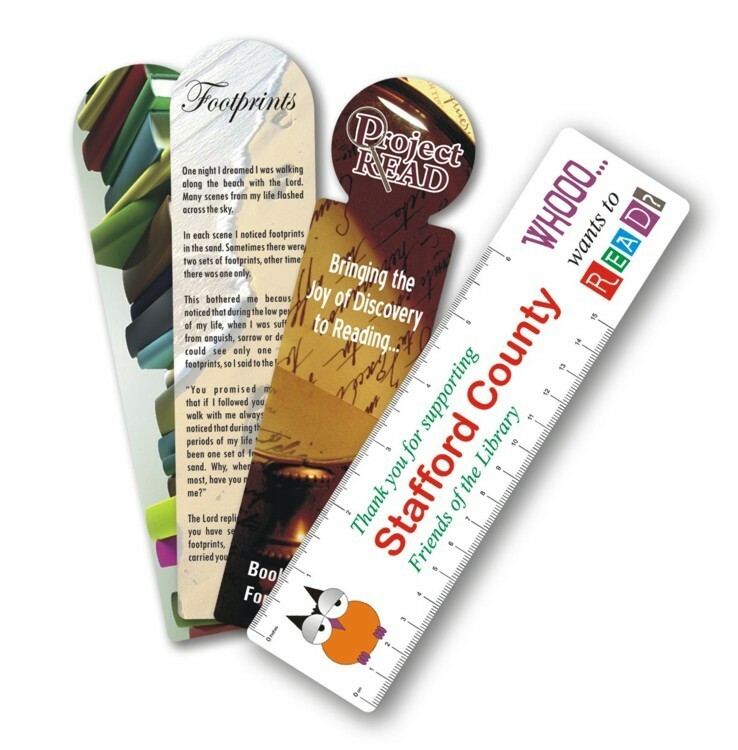 weight: .020 White Plastic | size: 12-1/4" x 2-1/2"
An ideal giveaway, the natural wood yardstick offers plenty of promotional marketing opportunities. 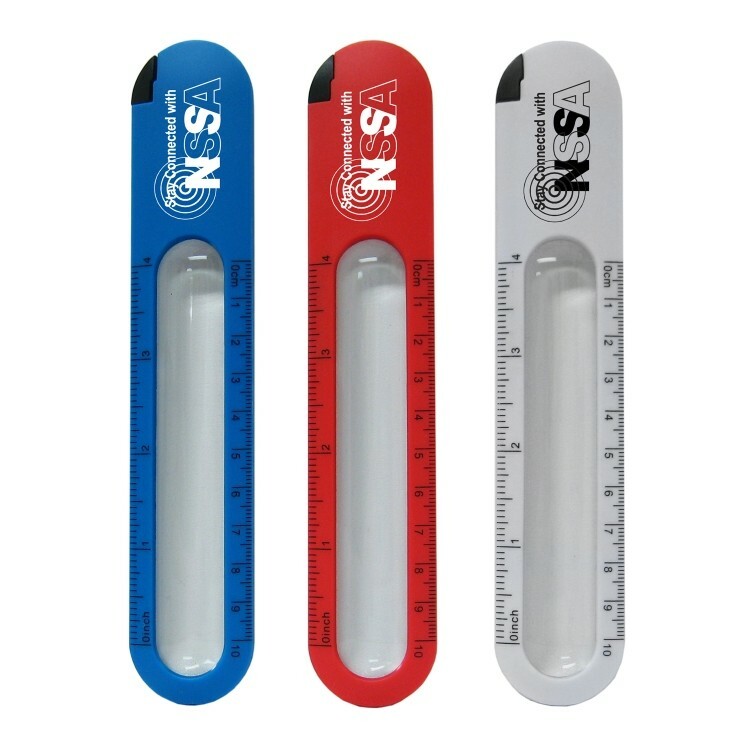 This measuring tool comes with in a classic wooden construction that can then be imprinted with your company name or logo. 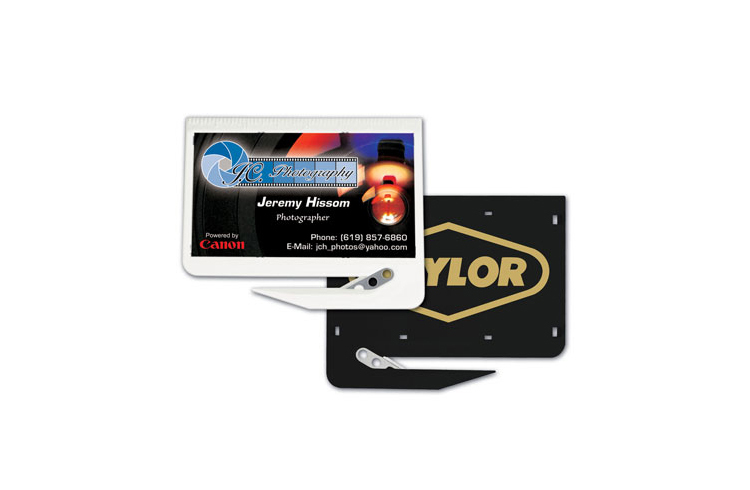 Hand out the finished product at tradeshows, conferences and fundraisers so that brand awareness continues to grow. Great for students and new hires too! Aluminum 12" straight edge with center finding back. The back side has center finding calibrations in inches making it easy to identify the center of a measurement. 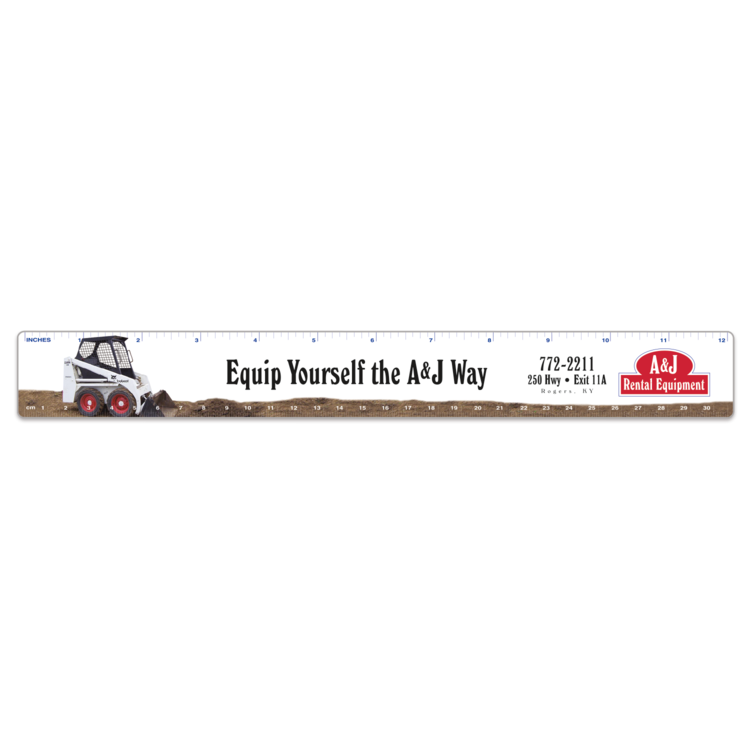 Made of sturdy rigid aluminum, 1/16" thick by 1 1/8" wide. 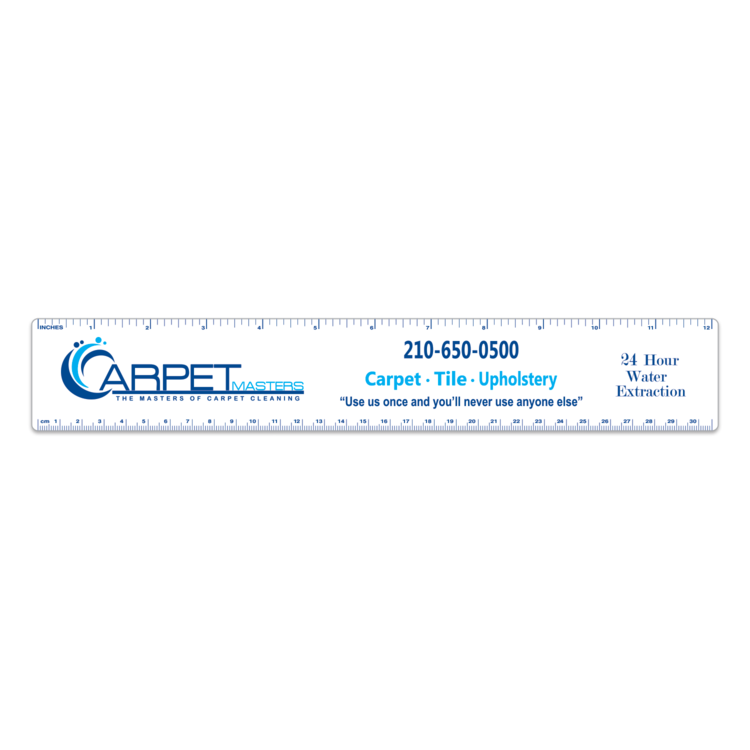 24" Non-slip straight edge is completely flat with a non-slip neoprene backing, non flexible with ultra smooth edges are 1" wide and 1/16" thick. This is a wonderful product for a large number of markets are banks, medical facilities, attorneys and many more!. 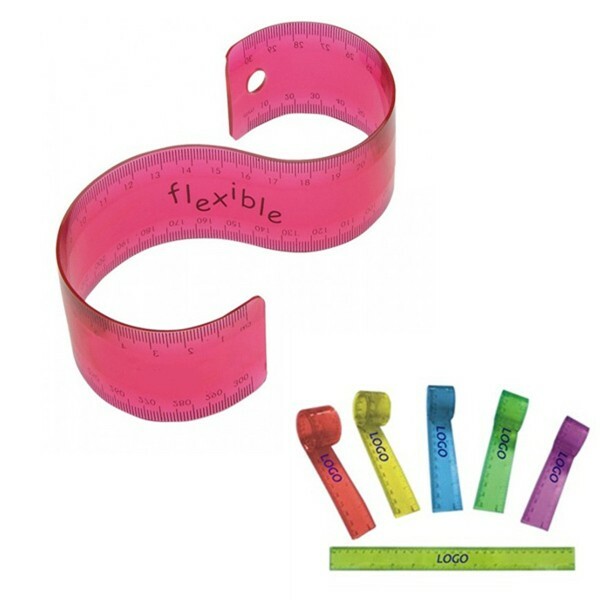 Durable plastic rulers in screen printing. Superior quality to laminated paper. 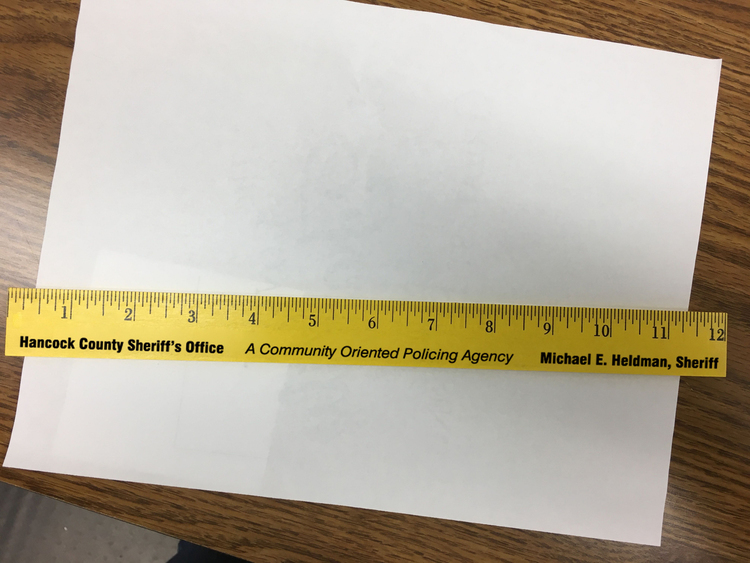 Rulers are accurate + or - 1/32". 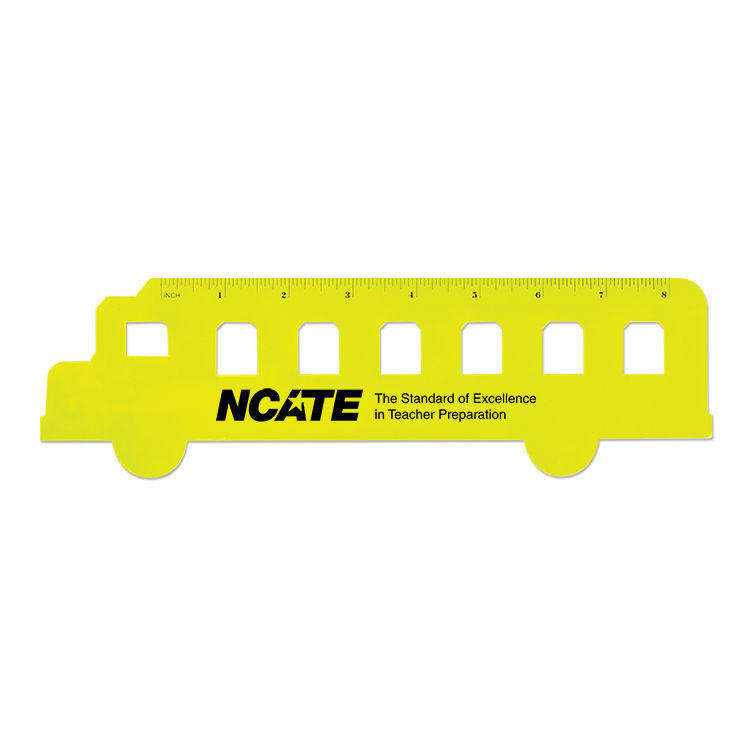 Have a little fun with this school bus-shaped ruler! 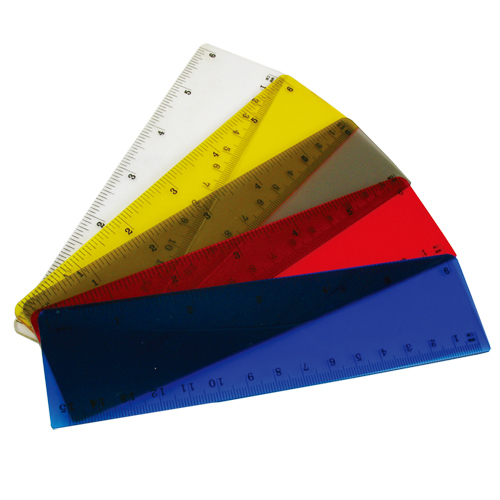 This 8-inch ruler can be used either as a ruler or a stencil. A perfect item for schools and daycares. One location imprint only. 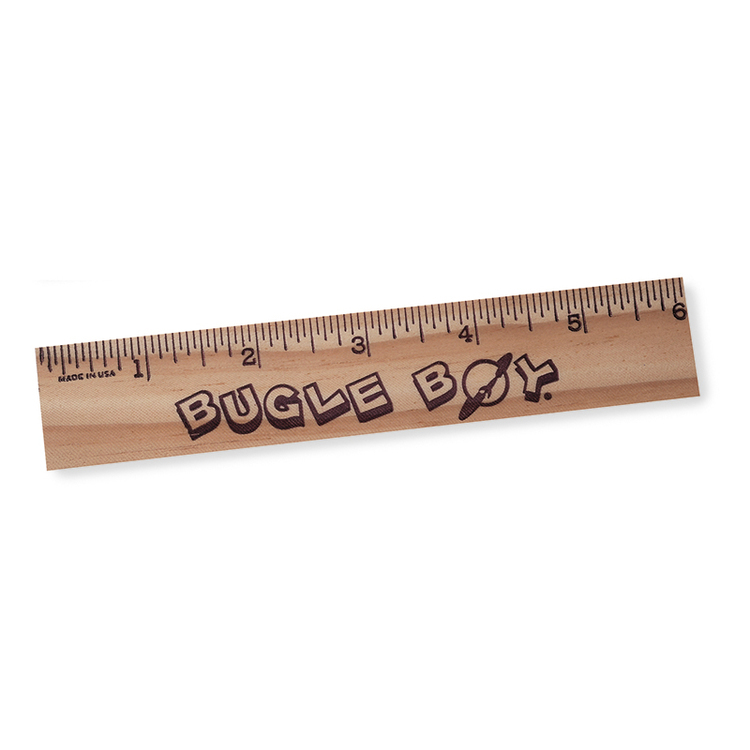 This 6" flat Natural Wood Ruler features an inch scale on top edge with an open area for imprint (factory set straight-line type) underneath. Custom logos and type styles available, but will incur a setup charge. Inch and metric available. Inch scale used unless metric specified. 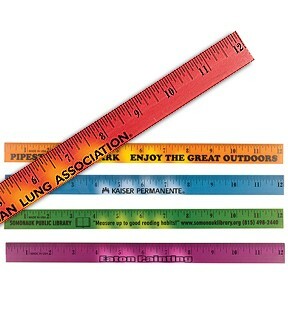 12" ruler with 2" x 3/4" magnifying lens. Shown with 2 color imprint. 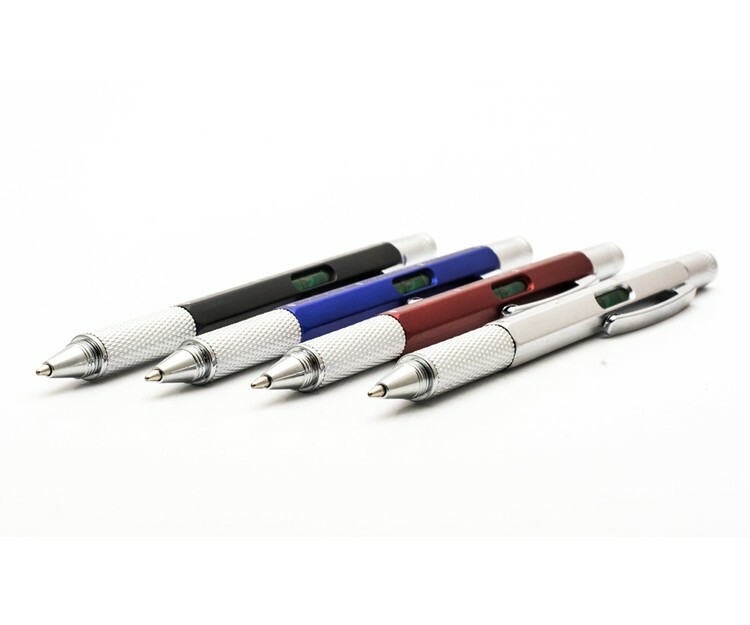 In a fast paced world, having the right tools at hand is crucial, and the Plastic Tool Pen brings 6 tools in one premium quality writing instrument! The light weight, 6-sided barrel houses our smooth writing Soft-Roll ballpoint at one end and very handy phillips and flat head screwdrivers at the other. On the barrel you will see a built in level, ruler and 2 different scale functions. The chiseled spring clip will hold the Plastic Tool Pen securely in your pocket, ready to handle more jobs in an instant! 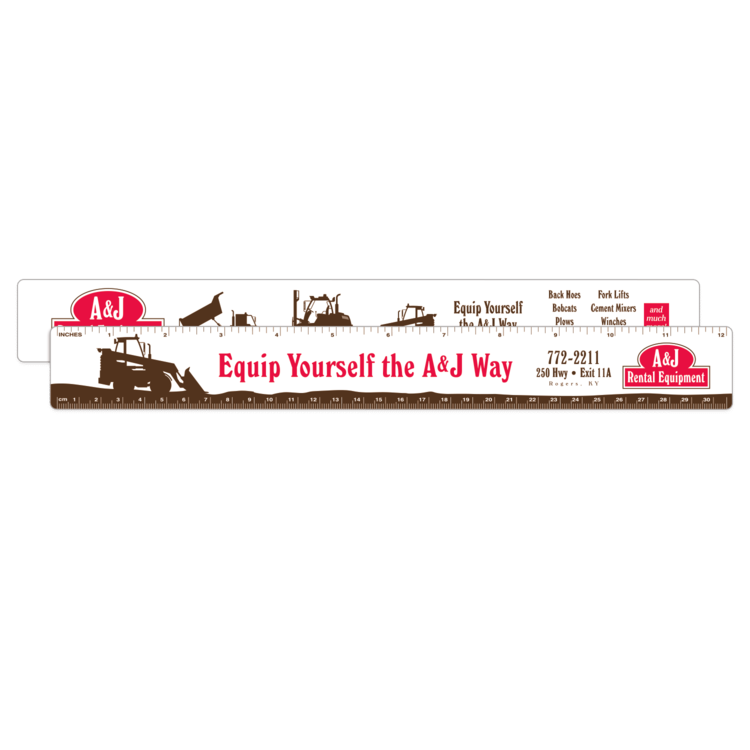 This foldable ruler is made of soft polyvinyl chloride resin and measures 8 1/2"L x 1 2/5"W. You can put your logo on the ruler for the best exposure. It features both metric and imperial system. This is an ideal giveaway for any occasion use. Lead time may be 8 weeks when quantity exceeds 20,000 PCs.